I mean - I clean - but probably not as often or as happily as a lot of people. I hear that there are people who get some sort of satisfaction from cleaning. Knowing that it is done. Knowing that things are tidy. Knowing that things are organized. I hear that there are people that can't relax when things are a mess. I can relax just fine, thank you. And if the number of cleaning products available out there are any indication, there are people who buy them. In the past seven years I have used exactly four cleaning products in my home. I use Clorox Clean-Up for things that need disinfecting and degreasing, like bathrooms and kitchen stuff, Comet in my bathtubs (they are really old), vinegar for the floors, and windex. If there is a time that I cannot use these I use Dawn - which if not for the inconvenience, I would use on practically everything. Please do not judge my punctuation in this sentence. No one has ever gotten sick or poisoned from being in my home. I try to clean everything a couple of times a month (or more). And basically we're good with that. So when I started talking with the HomeRight representative at Haven about testing out one of their steamers, I was a little afraid that I wouldn't be able to garner much enthusiasm for a cleaning apparatus. It consists of a plastic (the white part) mop that encases the actual steamer. 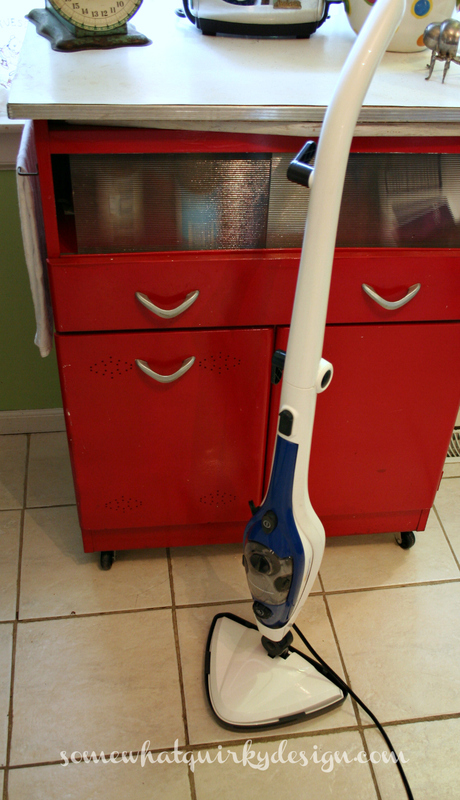 The steamer can be removed to use for use in tight areas, bathrooms, etc. I started out by mopping my very dirty kitchen floor. I'm not certain you can see it in the picture but this little steamer did a heck-of-a job. You have to ignore the horrific grout job and the chips in the tile. The floor got VERY clean. The best part? The floor FELT extremely clean. I loved the way it felt to my bare feet. Actually that wasn't the best part. The REALLY best part was that I didn't even break a sweat! Least. Sweaty. Mopping. Ever! It only took about five minutes. Of course, that floor you see in the picture? That's practically all of my kitchen floor. The little white (dirty) pad there is for the accessories that fit the hand-held unit. Since I mopped the floor - not daily, but much more than I usually do - I have been cleaning some other things with my hand-held steamer. I really like cleaning the bathroom with it. Since the steam reaches 205 degrees it kills 99.9% of germs. I just steam all around the toilet and sink and wipe it up. My bathtub is old and the finish is rough so it is VERY hard to get clean. Tub grime loves to stick on the course surface. I tried steaming the sides heavily before I used my regular cleaner and it made the grime MUCH MUCH easier to get off. I have also steamed my finished wood floors. 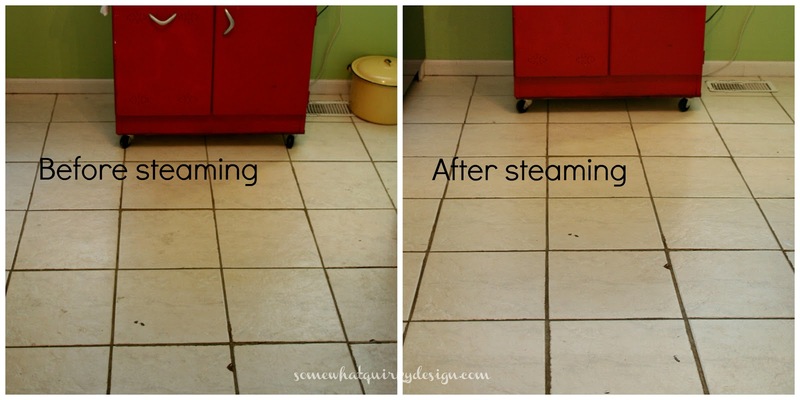 I set the dial on low steam and the floors didn't get even as wet as they do when I clean them with vinegar and water. I didn't even have to dry them like I do when I mop them. At first it was hard to get used to not having to use pressure when I'm cleaning. But I'm getting the hang of it now. The mop unit weighs practically nothing and has a really cool swivel head on it. Now, I bet you're wondering "How on earth can I get one of these amazing HOMERIGHT SteamMachine Plus things??" Well, you can order from their website here, and I found it here, and here as well. Or, you can come borrow mine! It's right next to my broom. 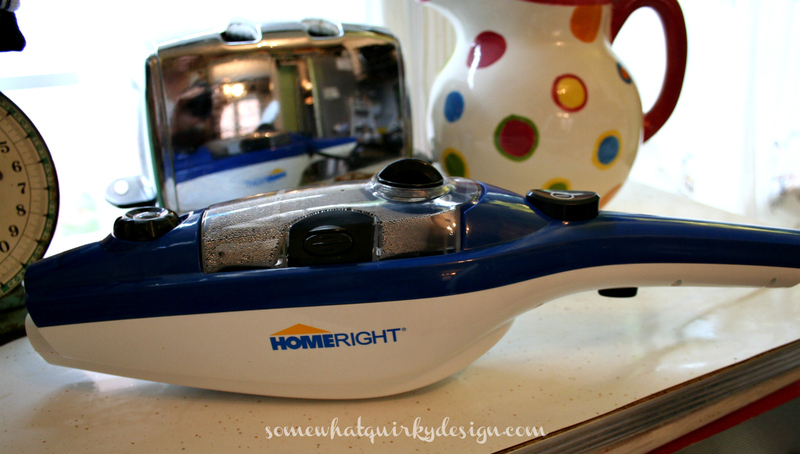 Just so you will know - the folks at HomeRight did provide the steamer that I reviewed. But I would not tell you that I liked it if I didn't. I'm not that kind of girl. I do like it. I do recommend it. And that is ENOUGH about cleaning! Love the way it cleans!! That steam cleaner has my name all over it!!! I'm all for a sweat-free cleaning experience! I'm for sweat free anything! Does it pick up sand? Our house sitter texted while we were away and asked if there was anything better than the broom for getting up all the sand that she and Lulu were tracking into the house. Unfortunately, I had to tell her to vacuum - I hated to make her think she had to clean as well as care for my garden. So, when you come next summer to watch Lulu, maybe you need to bring your steamer! I'm going to have to try one of those. We have stained concrete floors, and I was thinking about one of these. Thanks for the review. 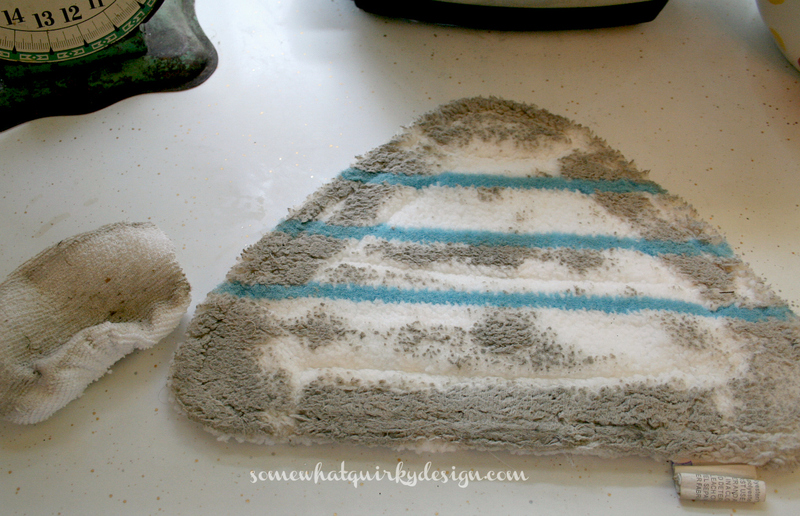 I like the idea of using it to clean an old bathtub. The finish is so bad on ours that it's hard to tell if it's even clean! So can that thing be used on wood floors? Not prefab kind, real raw wood, nail it down, stain and finish it kind. Because I am quite sure my dirt could kick azz on your dirt. 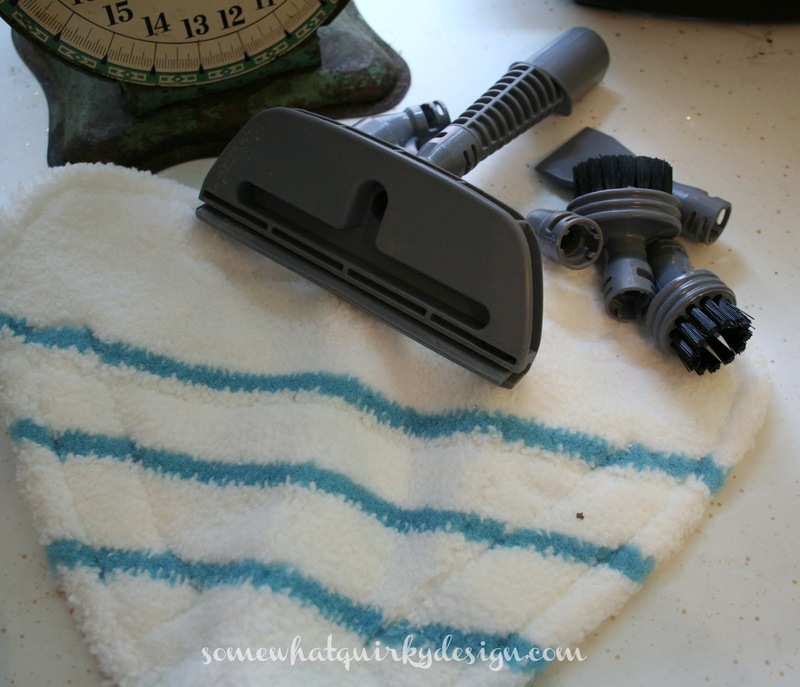 The fact that I even READ the whole post about cleaning is amazing! But the part about not breaking a sweat was the BEST thing! Steam cleaning.....it could revolutionize my life I think! Nice post Karen! I have a Shark steam cleaner and love it. I've never heard of Homeright, but when my Shark dies, I'll look for one. That is amazing! I'm going to have to try that sucker out! Well, I am one of those that can't relax if things aren't clean. Doesn't mean the cleaning gets done, it just means I'm never relaxed!! I think I need one of these...so my sister, who cleans my house, can have an easier job of it!